To help continue to develop and the improve of Firefly customers’ skills and knowledge by contributing to educational and learning events hosted and attended by Firefly Orthoses. Dr. Richie is a two-time winner of awards for original research given by the American Podiatric Medical Association. He is a recipient of the Richard Schuster Biomechanics Award given by the American Academy of Podiatric Sports Medicine. He holds four U.S. Patents for inventions relating to footwear and ankle brace technologies. 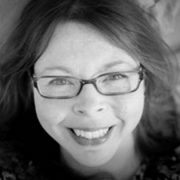 Emma is a lecturer at Plymouth University delivering both undergraduate and postgraduate clinical education to podiatrists, other AHPs, nurses and doctors. Her career-long clinical interest in musculoskeletal podiatry led her into research and she is currently writing up her PhD thesis in foot and ankle biomechanics in running. Applied biomechanics and MSK podiatry can be daunting to learn and so she and Dr Jill Halstead set up MSK:UK, a College of Podiatry special advisory group with regional hubs to support colleagues as they progress. The group recently grew to include over a tenth of the entire profession showing how ready podiatrists are to fully embrace this domain of practice. Emma is a fellow of the College of Podiatry and of the Royal College of Physicians and Surgeons of Glasgow (in Podiatric Medicine), Fellow of the Higher Education Academy, and the Science Council recently awarded her Chartered Scientist status. She is quick to note, however, that scientific post-nominal letters mean little to patients without the art of delivery in clinic. Michael McMullan graduated from Queen’s University Belfast in 1995. He trained in Trauma and Orthopaedics in the Northern Ireland Higher Surgical Training Programme for 6 years. He spent 1 year in full time research, sponsored by the Royal College of Surgeons England, investigating infection in fracture healing. He successfully completed the FRCS (Trauma & Orthopaedics) examination in 2005. 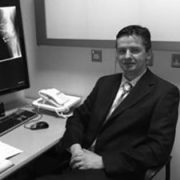 Mr Michael McMullan was appointed as Consultant Trauma and Orthopaedic Surgeon in the Royal Victoria Hospital and Musgrave Park Hospital in 2007. Mr McMullan is also an Honorary Lecturer in Queen’s University Belfast in Trauma Surgery. Mr McMullan is a member of the British Orthopaedic Association, British Limb Reconstruction Society, British Orthopaedic Foot & Ankle Society, Irish Orthopaedic Association, Irish Orthopaedic Foot & Ankle Society, Irish Paediatric Orthopaedic Society and the British Association of Sports & Exercise Medicine. 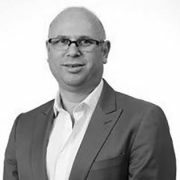 Julian trained in London and qualified in 1990 and was later appointed to a consultant position within the orthopaedic team at Barnet & Chase Farm Hospitals NHS Trust in 2002, one of the first such appointments in the country. Primarily he is a specialist in the function of the foot during the gait (walking) cycle and treats a wide range of musculoskeletal disorders of the lower limb arising from foot function. Although a musculoskeletal specialist, he also is able to treat, investigate and provide advice on all problems that can affect the foot and ankle. He has a specialist interest in the developing foot of children but provides care effectively from birth to old age. An elected board member of the Faculty of Podiatric Medicine, the body responsible for postgraduate Podiatric education, he is also on the committees of the Society of Chiropodists and Podiatrist responsible for policy and dealing with Private Medical Insurers and promoting Podiatry to government and other professional bodies. Julian has lectured at National and International Conferences. He lectures at Master level University courses and is involved in the training of Orthopaedic Surgeons, GPs, Physiotherapist, as well as Podiatrists. Widely respected both within and outside of his profession he strives to bring the best evidence based modern treatments available for his patients. Dr Carmel Silke is a graduate of the University of Liverpool in 1996. After completing her initial training in Merseyside she returned to Ireland where she completed the Specialist registrar scheme in Rheumatology. She is now a Consultant Rheumatologist in the North West Rheumatology Unit based in Sligo and Manorhamilton, Co Leitrim. Interests include Inflammatory Arthritis and Osteoporosis. She has completed a Medical Doctorate on the genetics of osteoporosis and a Masters in Sports and Exercise medicine through University College Cork, in addition to certification in clinical densitometry and clinical teaching. She is a fellow of the Royal college of physicians and has an Honorary Senior Lectureship with the School of Medicine in the National University of Ireland, Galway. 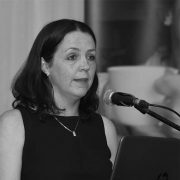 Currently she has ongoing research on changes in body composition in Gaelic footballers and the risk of injury and body composition in newly diagnosed inflammatory arthritis patients. 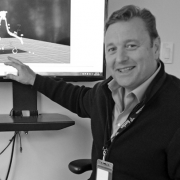 Dr. MacLean is an internationally recognised biomechanist with a Ph.D from the University of Massachusetts, Amherst. He is currently the Director of Fortius Lab & Applied Biomechanics at Fortius Institute, Burnaby, British Columbia, Canada. The Applied Biomechanics team has analysed over 1000 walkers and runners including: athletes from Triathlon Canada, many national and provincial distance runners and hundreds of recreational and competitive walkers and runners. 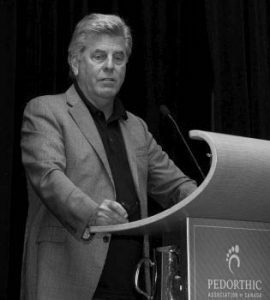 Previously, Dr. MacLean was the President of the Prescription Foot Orthotic Laboratory Association and has been involved in the footwear industry for over 25 years with a focused research interest on overuse and traumatic injuries, and the influence of therapeutic, footwear and exercise interventions. Derek graduated from Curtin University in 1996 and has since worked in all areas of clinical physiotherapy, from elite athletes to those coping with stroke and spinal cord injury. 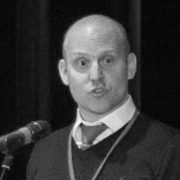 He specialises in examining the complex blend of anatomic, dynamic and biopsychosocial factors that influence pain and movement impairment. Derek is currently a senior physiotherapist working in primary care and runs a successful private practice. 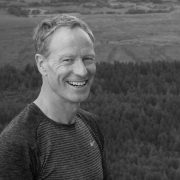 Ian completed his BSc (Hons) degree in Podiatry in 2003, and went on to obtain a postgraduate certificate in Sports Podiatry and a Masters degree in Sports Injury. He has maintained an active interest in research, having published work in The British Journal of Sports Medicine, The Journal of Foot & Ankle Research and The Journal of the American Podiatric Medical Association. Ian is also a manuscript reviewer for several Sports Injury and Physical Therapy journals. He has spoken on the topic of foot and ankle biomechanics nationally, and also in Spain, Canada and Australia. In 2016 he was awarded a Fellowship of the Faculty of Podiatry Medicine at the Royal College of Physicians & Surgeons (Glasgow). 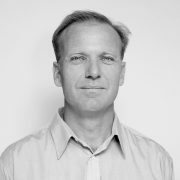 Martin has acquired over 27 years experience in clinical biomechanics and orthotic therapy. He is a fellow of the Royal College of Physicians in Glasgow and is their ‘regional advisor’ on podiatry. During his career he has provided professional advice and podiatry services for a number of English Premier League football clubs including Chelsea, Tottenham Hotspurs, Norwich, Newcastle, West Ham and Aston Villa. As an authoritative voice in the field of podiatry, Martin acts as a mentor to the Podiatrists at Headley Court military hospital outside London and regularly provides training and professional development internationally.